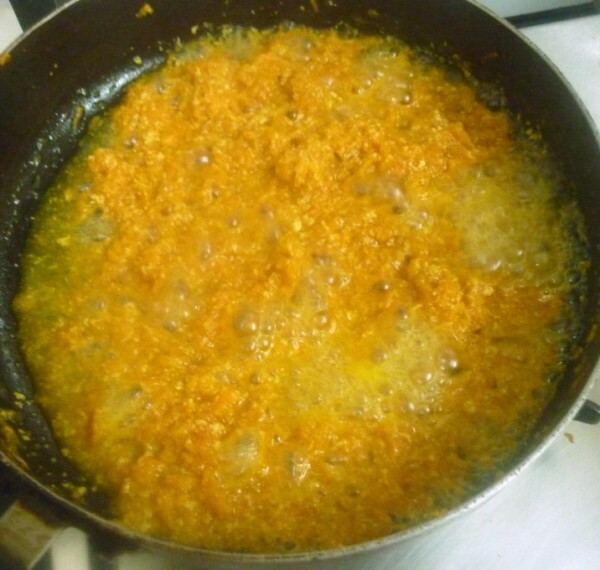 Another recipe that I wanted to make was yet another form of the Gajar Halwa. However since I already had different versions up on the site, I decided I must make something else. So this Burfi was very attractive and didn’t want to miss making it. This recipe called for using cashew and sugar syrup in thread consistency so that the burfi holds it’s shape. Infact until I actually went through the recipe again, I was under the impression that I should be adding more milk as in halwa and get it set. Well with the sugar caramilsed it got done very well. And this is one of those recipes that you can make when you have sugar syrup / jeera or chashni left over and you are not sure how to use it up. I normally end up making Coconut burfi in such cases, so making something different was a good change. Wash, peel and grate the carrots, keep it aside. 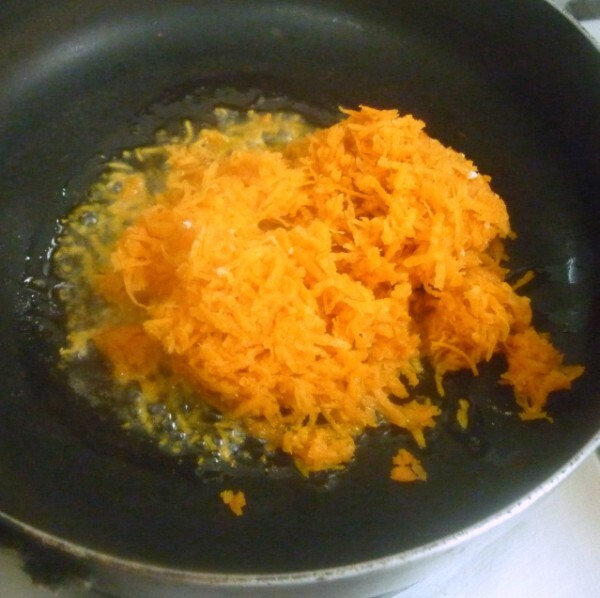 In a non stick pan, add ghee and fry carrot till the rawa smell leaves and carrot is slightly cooked. 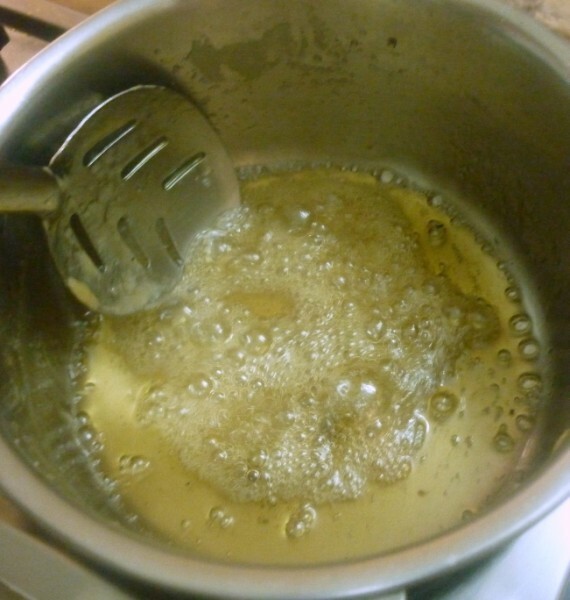 Melt the sugar in another pan, remove scum if any and bring to a single thread consistency. 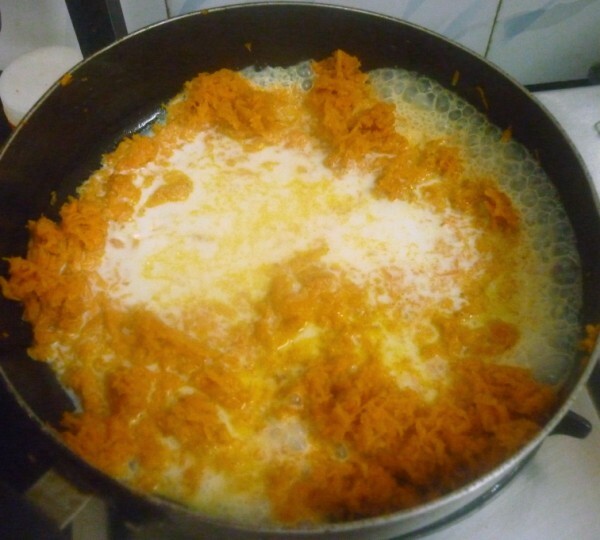 Meanwhile add milk to the carrots and stir well so that the carrots are cooked in the milk. 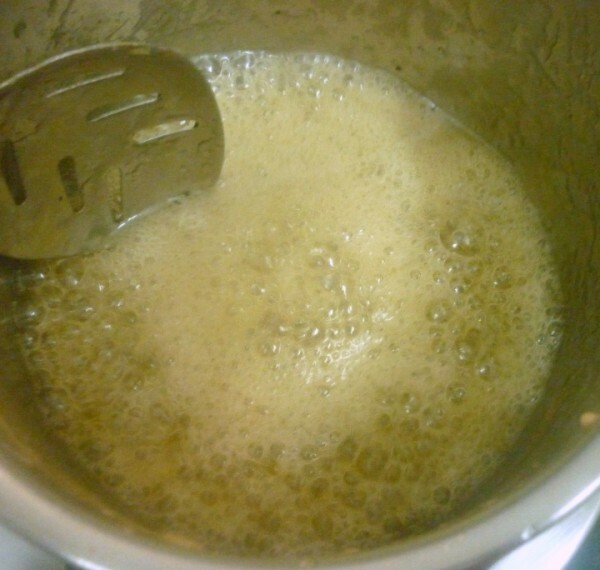 Now add the sugar syrup to the pan and cook on high. 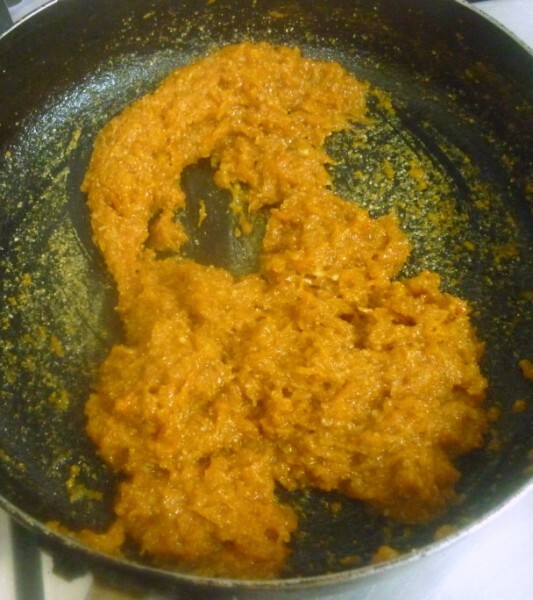 When the mix comes close to thick halwa, add the nuts powder and combine everything well. You can remove when the sides starts leaving. Add cardamom powder, mix well, pour on a greased plate. Allow it to cool. Then cut in to burfi. You can refrigerate this since this has milk and can serve it warm. As I said if you have left over sugar syrup you can use here. so authentic and so delicious!!! yum yum!!! looks so much gajar ka halwa with an extension!!! This is a lovely burfi , but valli u say melt the sugar and at the same time u say we can use chaashni, so do we make a sugar and water chaashni or are we just melting sugar? From what I understand sugar and water syrup has to be made, please correct me if I am wrong. Vaishali You will have to make a single thread consistency for this burfi, so if you have left over chasni, you can use it here is what I meant. 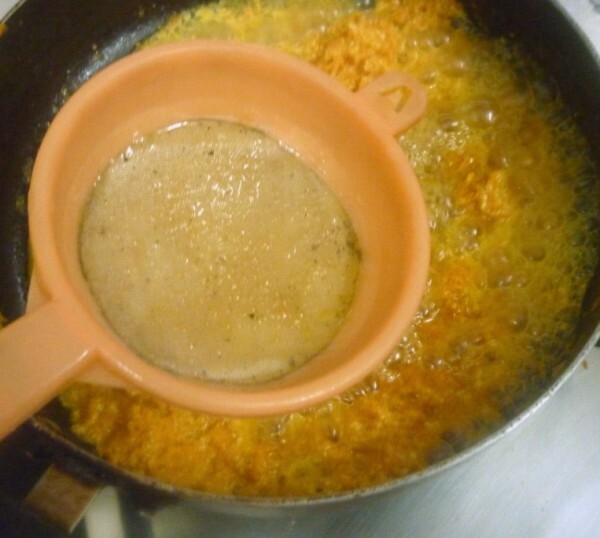 If you don't have, you will have to make sugar syrup to get the burfi texture. 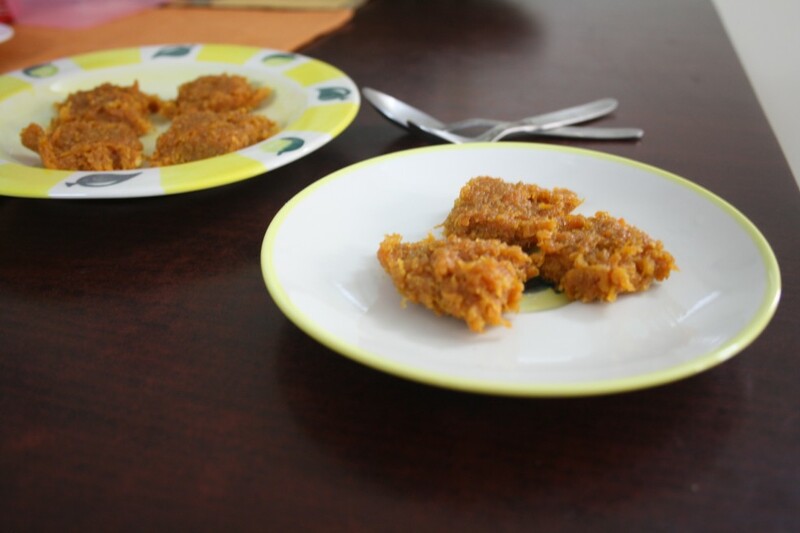 Even then this is not your typical hard burfi, rather soft in texture because of carrot. Oh yumm. Gajar halwa in burfi form sounds perfect. 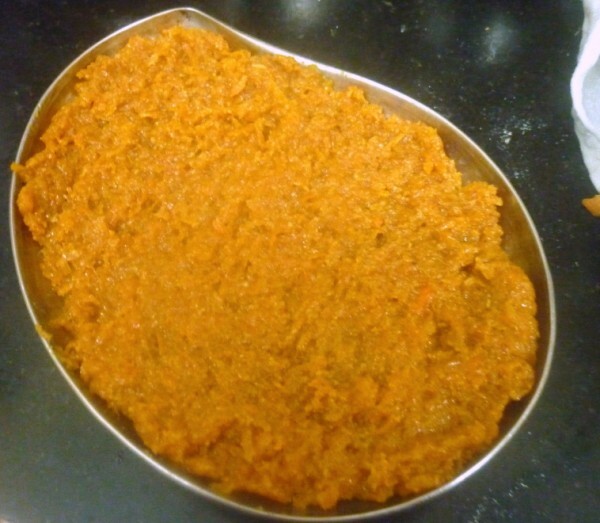 Much like gajar halwa but with a lovely twist…looks delicious. I wont hesitate a second to have some, dry fruits and carrots, loving this combo. 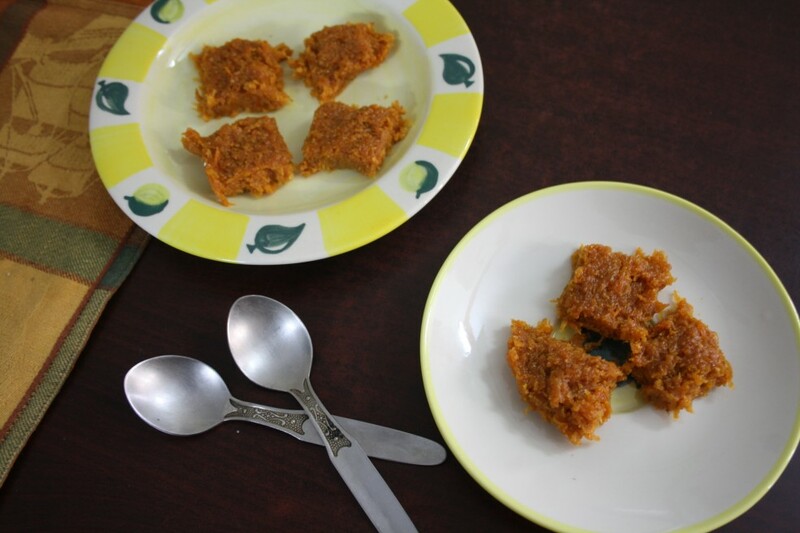 Its more like carrot halwa bite sized.. 🙂 🙂 Will def try it out soon..
Valli, you can make burfi even without adding nuts. 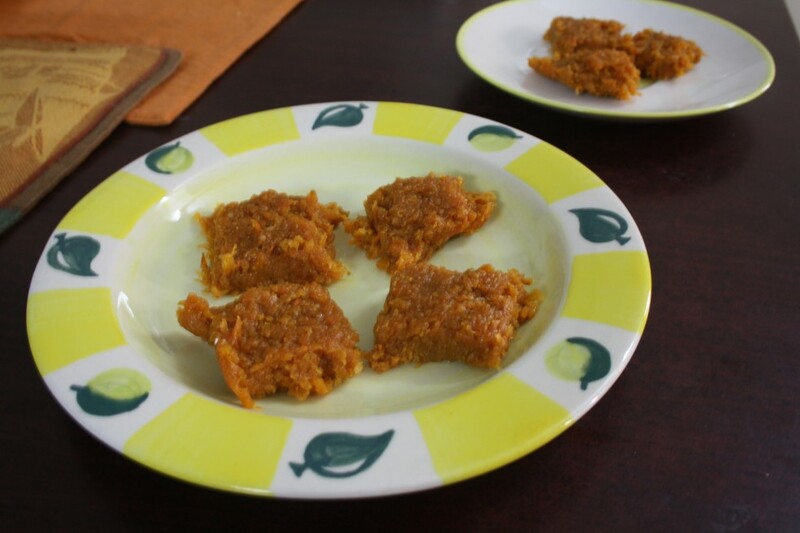 Carrot burfi is my sister's favorite and she always used to be after our mother when we were kids. 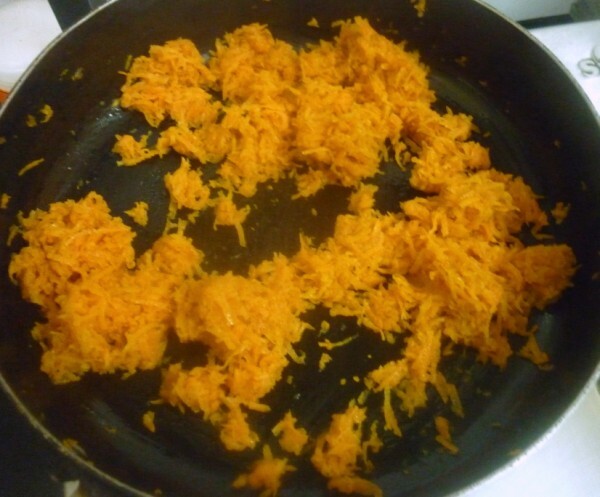 It takes a little more time but you get hard, burfi shape with carrot alone. Nice one this, Valli. Sometimes we get so comfortable with the standard recipes that we hardly try something else! Thanks so much for BM and the varied themes, I am sure I wouldn't try so many recipes without it! Burfi is my mom fav.. I love the barfi.. Looks yum. Looks very delicious and tempting. Awesome burfis. In my knowledge with out ading any flour we don't get burfi texture. 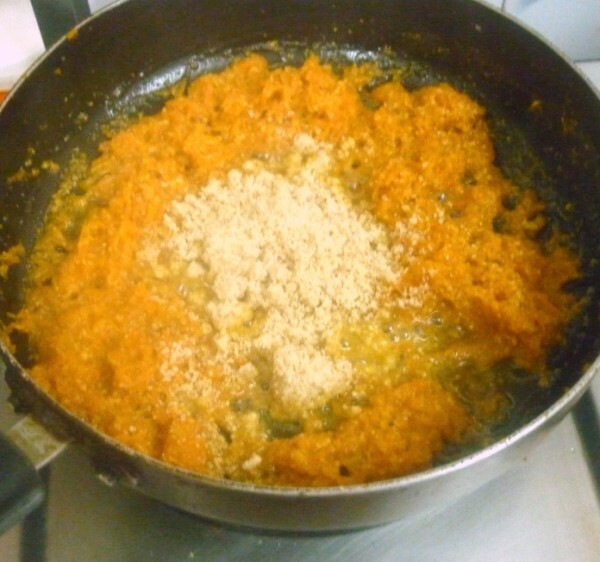 only with grated veges we get soft burfies right… lovely color and tempting burfi Valli. Caramalised sugar or sugar syrup? Both are different. Which one to use. Anon, Sorry for the delay. Not sure where I have mentioned Caramalised sugar, however I have used sugar syrup only.